January is such a great time of year—a fresh start, boosted motivation, excitement for the future, and… fleas ?! Yes, right around January and through the spring our phone starts ringing off the hook with calls about these pesky critters. Their small size is hardly indicative of the level of vexation they can cause you, but they can be conquered. Today we’re going to talk about how to identify fleas and how to get rid of them safely and effectively. Fleas are a common pest worldwide. While nearly 300 species (!) exist in the United States, the “cat flea” is generally considered to be the most problematic. This is especially true in Florida, where the warm weather creates a nice living environment not only for residents but for fleas as well. Fleas can be identified as very small hard-bodied insects. They are not much bigger than the head of a pin. They are usually black but can also be dark brown. Fleas are very fast when running and can easily jump distances of two feet or more, making them very difficult to catch. The quickest way to determine if you have fleas in your home is to observe your pets. 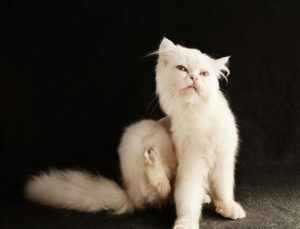 If they scratch themselves and seem uncomfortable, they may be suffering from irritating flea bites. Start by gently brushing the fur on your pet’s back from tail to head. You may not see the actual fleas, as they will move very quickly to stay hidden amongst the fur. 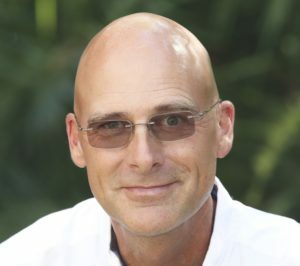 If they are present you will likely see their feces, which appears as fine black “dirt.” Sometimes minuscule white eggs will also be visible, giving it a salt-and-pepper appearance. You may also find this telltale evidence in your pet’s sleeping areas. If you can’t seem to find any evidence of fleas on your pet but suspect they may still be in your home, there’s another way you can discover them. Place a dish of soapy water beneath a small light, such as a night light. The pests will be attracted to the light and become trapped and die in the soapy water. However while this method is a good way to determine the existence of the problem, it is unlikely to control an infestation. Why are fleas in my house? There are many reasons why fleas may be in your home. The most obvious is that you have pets in your family. Fleas are quite happy to stow away on your pet and raise a family of their own indoors if you don’t take measures to treat your home and your pet. Another reason you may have fleas in your home is due to large populations of the bug in your yard. Even families without pets may have large flea populations supported by the wild animals that live in and near your yard. Animals such as squirrels, raccoons, and opossums may be unseen but still contribute to flea populations near your home. These fleas can easily hitchhike into your home on your clothes and shoes. However, unless wild animals are living directly under your house, indoor infestations are unlikely without a domestic pet to act as a host. Getting rid of a flea infestation in your home is much more complicated than merely setting off aerosol “bombs” in every room of your home. Not only does this approach do little to control the fleas, but it also risks exposing your family and pets to harmful pesticides. Instead of using foggers, seek out aerosols and powders geared specifically towards tackling carpets and floors. 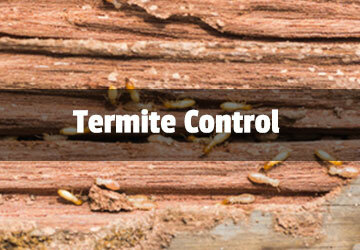 They are more effective and will include an Insect Growth Regulator or IGR. It is important to follow label instructions closely when using these products. Begin by treating your pet for fleas. This may be in the form of a prescription from your veterinarian, a collar, or a topical flea shampoo treatment. To prevent harm, always follow label instructions when using these products. Once your pet has been properly treated, it’s time to tackle your home. Begin by washing all pet bedding in hot water and drying on high heat. This will kill all life stages of the fleas. It is also necessary to thoroughly vacuum all areas of your home. Pay close attention to the furniture and closets where pets may sleep. Take care to dispose of the vacuum bag outdoors when finished. Tie the trash bag tightly to keep fleas from escaping. You might even want to consider double bagging! They are tenacious little beasts. The last step in a comprehensive flea control program includes treating the yard with liquid or granular insecticides. Both are effective. 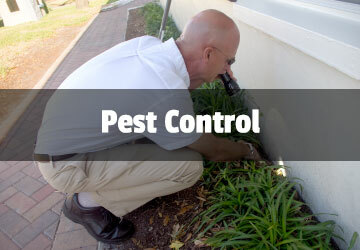 You can choose to do this yourself, or call a reputable local pest control service to assist you. If you opt for the DIY approach, pay attention to your pet’s favorite hang out areas and dog houses. Again, for your safety and that of your pet, it’s important to follow the directions of the label of each product you use. 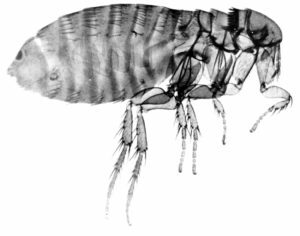 Fleas are an unpleasant annoyance but they aren’t dangerous. Prevention is critical, but if you find yourself suffering from an infestation, the steps outlined above can help you attack it. Remember that you may have to go through those three steps more than once, as fleas are very small, very fast, and very tough—so it can be challenging to wipe them out in one fell swoop. If you live in Volusia County or Flagler County in Florida and are having problems with fleas, contact Universal Pest Control. 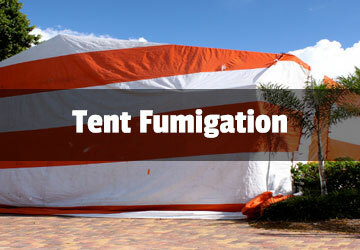 We can be reached online at www.BugandTermiteControl.com or by calling 386-673-1557. We would be glad to help you!